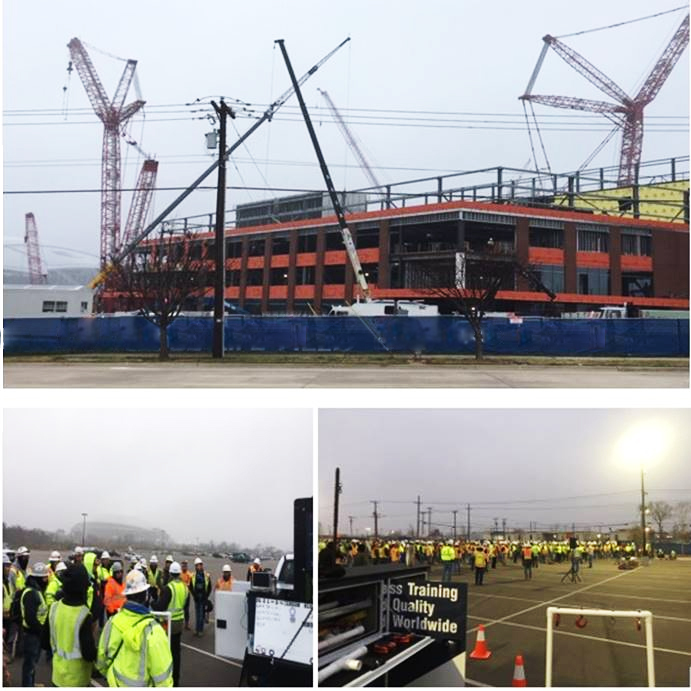 Crosby has been on-site since the project broke ground in Fall of 2017 providing On-Site Safe Rigging Clinics and technical support for the construction every step of the way. A large part of the entertainment venue opened in Fall 2018, and the luxury hotel is scheduled to open in the Fall of 2019, and then the grand finale, the baseball stadium is scheduled to open for the 2020 Major League Baseball season. This facility has projected growth for additional attractions to be completed within the next five to seven years. Please click below to learn more or to request a Crosby On-Site Safe Rigging Clinic!